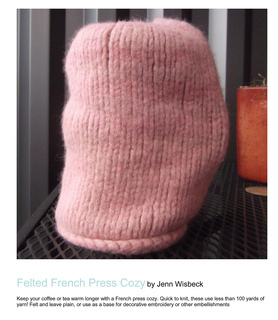 Keep your coffee or tea warm longer with a French press cozy. 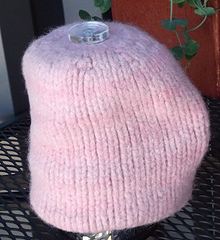 Quick to knit, these use less than 100 yards of yarn! 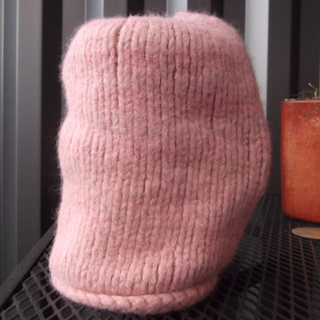 Felt and leave plain, or use as a base for decorative embroidery or other embellishments. Size: 4 by 7 inches- not including plunger or handle. Level: Intermediate- Need to know how to increase and work on double pointed needles. Smaller size: Work increases until row 6, then repeat row 7 until long enough.